In this study, you'll discover more about Samuel, Saul, and David and learn how their stories contribute powerfully to Israel's vivid history. The events of 1 Samuel bridge two majoreras in the story of Israel. This book witnesses the close of the period of judges and the opening of the age of kings. As you stroll through 1 Samuel, you'll grow to know the characters of Samuel, Saul, and David. Their stories contribute powerfully to Israel's vivid history. Even more important, you'll ponder God's faithfulness and his care for his people. God shaped andsustained Israel so that one day it could become a light to all others through the Savior of the world, Jesus Christ. 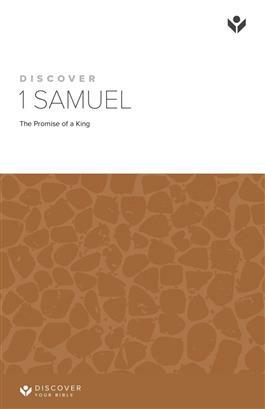 Discover 1 Samuel features 12 lessons on the OldTestament book of 1 Samuel. This material is intended for small group Bible study, but it can also be used profitably for personal study. Guides for leaders and students are available. The approach to Bible study in this series emphasizes discovery (the reader discovers what the Bible has to say by asking questions and seeking answers from the passage studied). This is an effective and enjoyable way to study God's Word.